UNITED NATIONS, Sep 30 2018 (IPS) - Despite women being key figures in agriculture and food security, gender inequality is holding back progress towards ending hunger, poverty, and creating sustainable food systems. “It is therefore economically rewarding to invest in women’s education and economic empowerment since women often use a large portion of their income on children and family welfare.” -- AU commissioner for Rural Economy and Agriculture Josefa Leonel Correa Sacko. “There is a strong momentum to advance gender equality and women’s empowerment in agri-food systems because women constitute the majority of agricultural labour,” said AU commissioner for Rural Economy and Agriculture Josefa Leonel Correa Sacko. However, despite women’s crucial role in such systems, there are persistent gender gaps. “We need to better recognise and harness the fundamental contribution of women to food security and nutrition. For that, we must close persisting gender gaps in agriculture in Africa,” said FAO’s Director-General Jose Graziano da Silva. 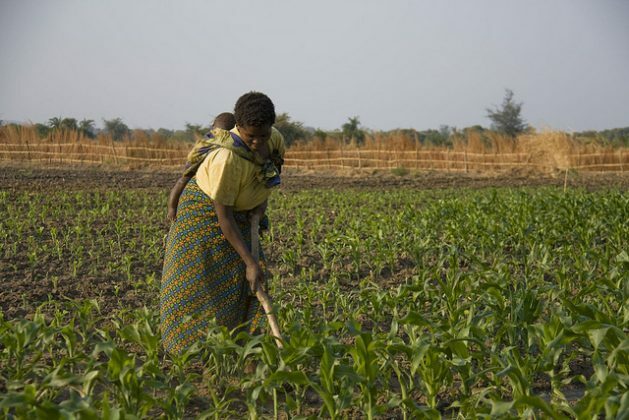 While women account for up to 60 percent of agricultural labour, approximately 32 percent of women own agricultural lands across 27 countries in Sub-Saharan Africa through either joint, sole ownership, or both. Only 13 percent of women, compared to 40 percent of men, have sole ownership on all or part of the land they own, according to the Regional Outlook on Gender and Agrifood Systems, a joint report by the FAO and AU that was presented during the event. In 2016, thousands of rural women across Africa gathered at Tanzania’s Mount Kilimanjaro to protest and demand the right to land and natural resources. Some even climbed to the peak of Africa’s highest mountain, showcasing their determination for change. 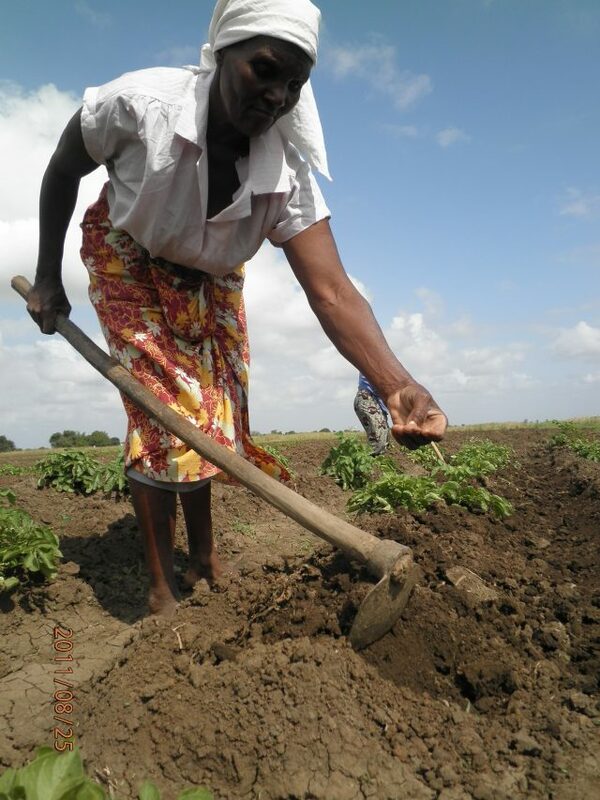 Even when women are able to own their own land, many still lack access to productive resources and technologies such as fertiliser, agricultural input, mechanical equipment, and finance. This poses numerous challenges along the food value chain, including food loss. Globally, approximately one-third of all food produced is lost or wasted. Food loss and waste is a major contributor to climate change and in Sub-Saharan Africa, the economic cost of such losses amount up to USD4 billion every year, FAO found. The FAO-AU assessment also estimated that agricultural output could more than triple if farmers had access to the finance needed to expand quality and quantity of their produce. Panellists noted that addressing the agricultural gender gaps in Africa could additionally boost food security and nutrition in the region. Globally, hunger is on the rise and it is worsening in most parts of Africa. Out of 821 million hungry people in the world in 2017, over 250 million are in Africa. Many African nations are also seeing a rapid rise in obesity, which could soon become the continent’s biggest public health crisis. “It is therefore economically rewarding to invest in women’s education and economic empowerment since women often use a large portion of their income on children and family welfare,” Sacko said. Graziano da Silva noted that among the key issues is the lack of women in governance systems and decision-making processes. Between five and 30 percent of field officers from ministries and rural institutions are women while only 12 to 20 percent of staff in ministries of agriculture are female. This coincides with the lack of gender targeting and analysis mechanisms, resulting in services that target male-dominated sectors. If such trends continue, Africa will not be close to achieving many of the ambitious development goals including the Malabo Declaration, which aims to achieve inclusive growth, sustainable agriculture, and improved livelihoods. There has been some positive trends as many African countries have started to recognise the importance of putting women at the heart of the transformation of rural food systems. Botswana’s Women’s Economic Empowerment Programme provides grants to women, enabling them to start their own enterprises and advance their economic well-being. Similarly, the Joint Programme on Accelerating Progress towards the Economic Empowerment of Women, implemented by various U.N. agencies including FAO and U.N. Women, has provided more than 40,000 women with training on improved agricultural technologies and increased access to financial services and markets. While women’s participation in decision making has increased from 17 to 30 percent, Graziano da Silva stressed the need for better and more balanced representation of women at all levels. Presenting the recommendations from the AU-FAO outlook report, Sacko called for an “enabling environment,” reinforcement of accountability mechanisms for gender equality and women’s empowerment, and a “gender data revolution” to better inform gender-sensitive policies and programs. “Let us be ambitious, and let us all put our wings together,” Massi concluded.